This week’s lesson was a super fun one for our little ones! The focus was on God’s promises, so we started by talking about a promise that we had learnt a couple of weeks before. We remember that God had made a promise to Noah to save him and his family from the flood and we saw that God had kept that promise. Then, after the flood was over, God promised Noah to never destroy the world through a flood and God put a rainbow in the sky as a sign of that promise. God kept this promise, too. We explained to our kiddos that whenever we see a rainbow in the sky, we should can remember that God is faithful: when He says He will do something, He will definitely, without a doubt, do it. We then introduced one of Noah’s great, great, great, great, great, great, great, grandchildren: Abraham. We read pages 39-45 from our Beginner’s Bible, and then we retold the story to make it come alive for our kiddos. Our retelling started with God telling Abraham to move to a new land. We spoke about the uncertainty of the journey that lay ahead, and that he would have needed to pack some things. I had brought in a small suitcase with some travelling items (clothes, toiletries, food, sleeping things, etc.) and I took them out one by one to show the kids. They loved calling out the name of each item. We then spoke about the journey. We asked the children to stand up and follow behind a pretend Abraham, Sarah and Lot. Before we started our class that day, we had arranged a few mini “obstacles” (an overturned chair, pile of books, etc.) around the room. As we traveled, we made sure to avoid all the obstacles by going around them or jumping over them. After a long, long time and a few minutes of us following a pretend leader, we finally reached out destination. 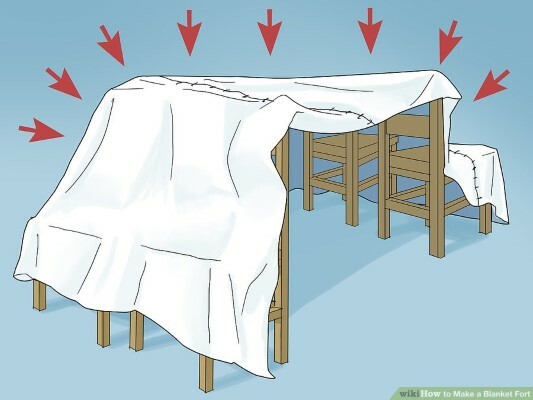 Before class had started, we had also made a fort using blankets, chairs and some pegs (you can find the directions from eHow here.) We explained that Abraham and Sarah didn’t live in a house like we do, but in a tent. We then all went inside the tent. I don’t even need to tell you how much they enjoyed this part of the activity. We then dimmed the lights and told the next part of the story which, unfortunately, hadn’t been included in the Beginner’s Bible… Abraham couldn’t sleep one night and he left the tent to go outside to pray to God. While Abraham was praying, God promised that He would give him lots and lots of children. But Abraham was sad because he didn’t have any children and he couldn’t understand how God would give him lots and lots if he had none! God told Abraham to trust Him and that He would give Abraham as many children as there are stars in the sky. Then God promised Abraham that He would give those children a land in which to live. And then God made a third promise: that a special person would come from his children that would be a blessing to all the world. Here is a picture of the craft we made this week. This is an important craft that we brought out many times in the following lessons in order to keep track of the promises God had made and to see how they He kept them. 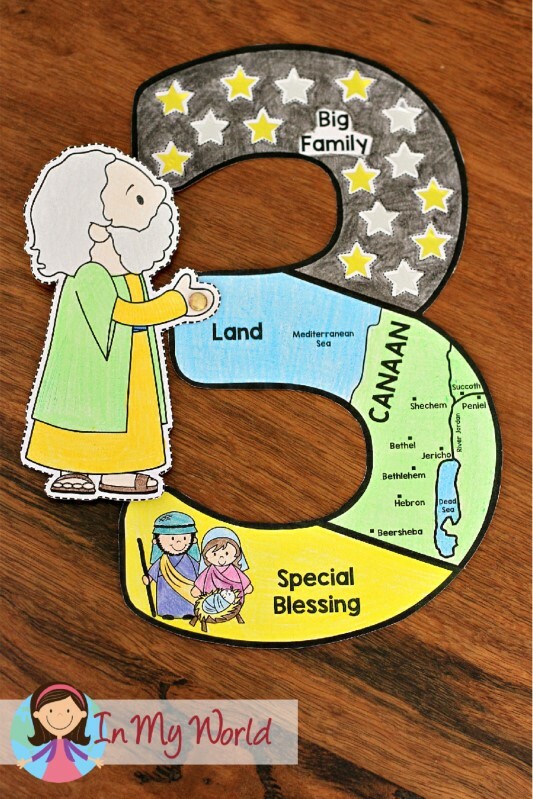 In the coming weeks, we would see how God kept His first promise to Abraham and gave him a son, then later we would see the Israelites inherit the land of Canaan, and then, just around Christmas time, we would learn how God kept his third promise through the coming of the Messiah. Hello! 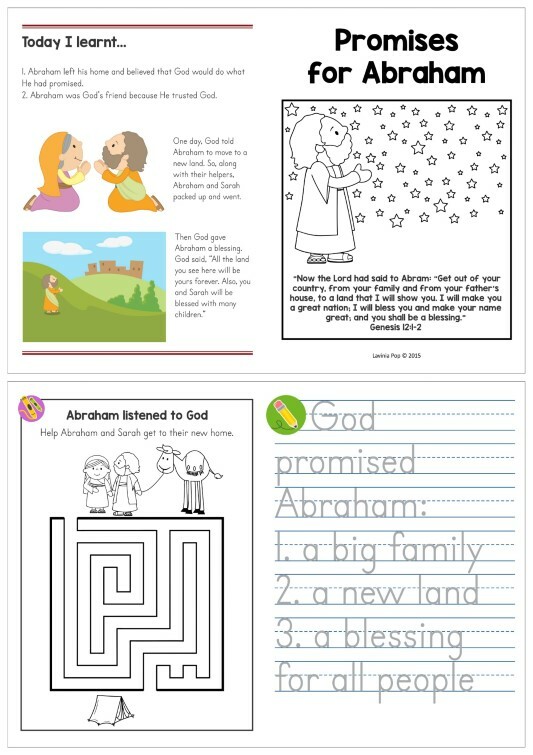 Thank you for sharing your website that offers free materials for bible class. I hope you will continue to share your talent. God bless you!